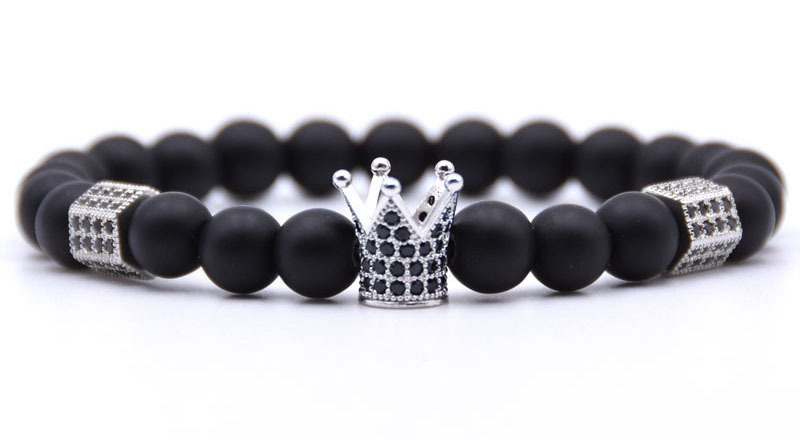 This crown bead bracelet is made with 8mm onyx beads surrounding a crystal crown charm. 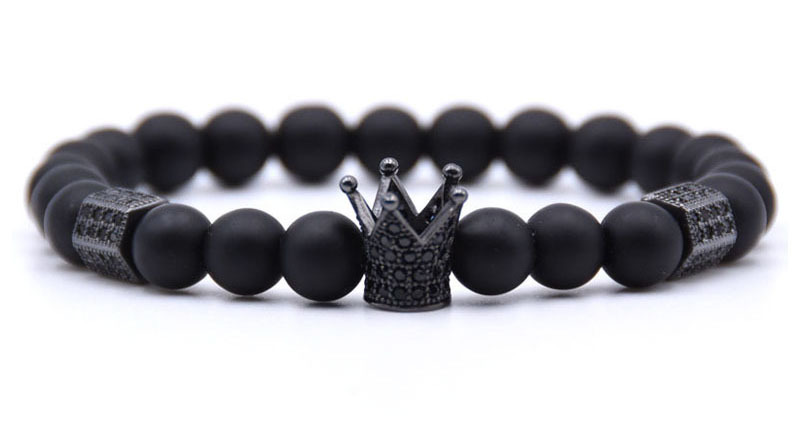 The length of this bracelet is 7 to 10 inches. Suitable for men. 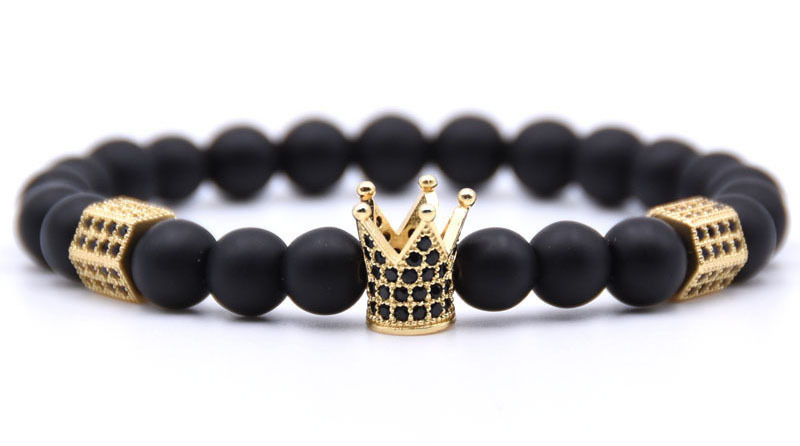 These natural stone bead bracelets with crown charm have special meaning. The crown is a symbol of honor and responsibility, it is a timeless symbol. You can use it as gifts for engagement, wedding, friendship, birthday, husband, boyfriend, lovers and so on. Welcome to ORDRM®, we are a wholesale fashion jewelry supplier committed to providing our customers with the most fashionable costume jewelry at the best wholesale prices. 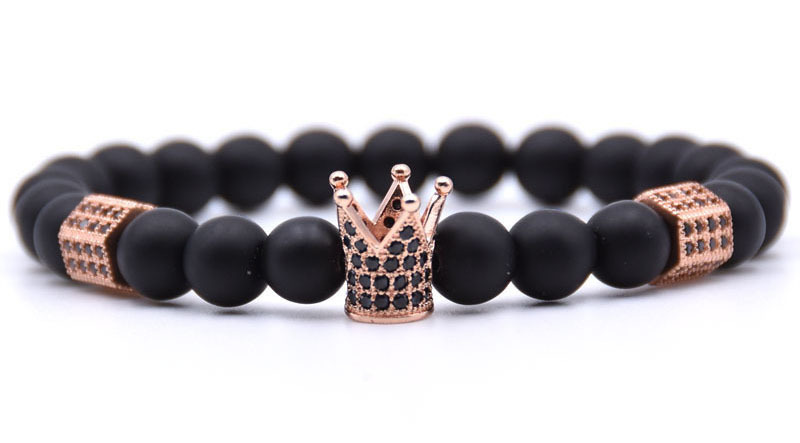 At our online store, you can discover the season's hottest jewelry for your store, including beaded bracelets, tungsten rings, leather bracelets, religious jewelry, hip hop jewelry, etc. We are happy to answer any questions or concerns you may have. Call us today. 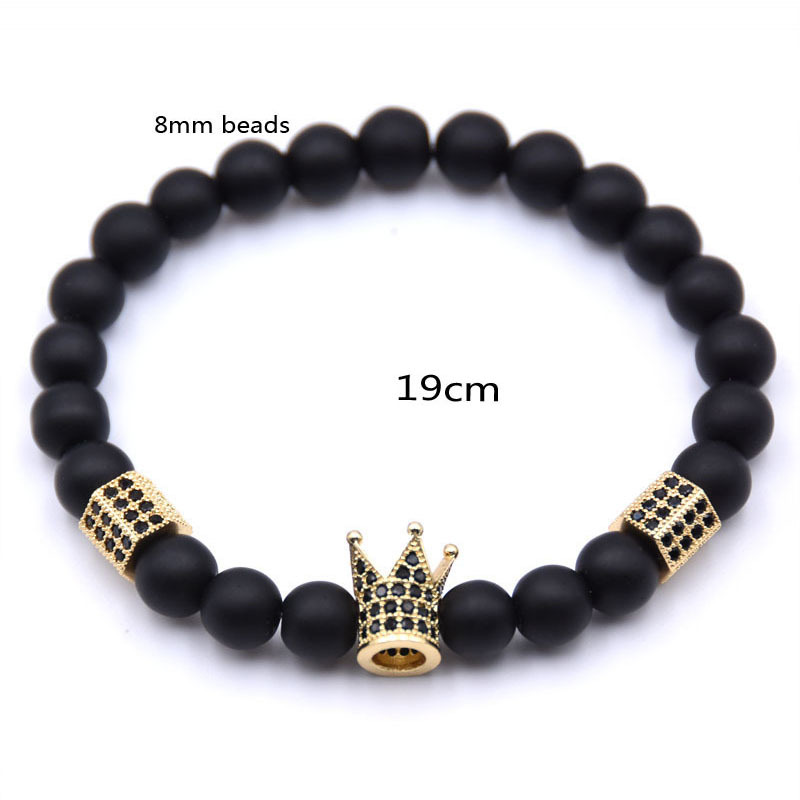 View more hot products: leather bracelets, cuff bracelets, bead bracelets, tungsten rings, hip hop jewelry, jewelry necklaces. Would you like this piece in other natural stone beads, or even add a personal design? Or do you have your own jewelry drawing? Just send your request to us. Start creating today!